Situated 800 miles off the coast of Portugal, the Azores are a group of nine Portuguese islands, with Ponta Delgada as its largest city and located on the island of Sao Miguel. 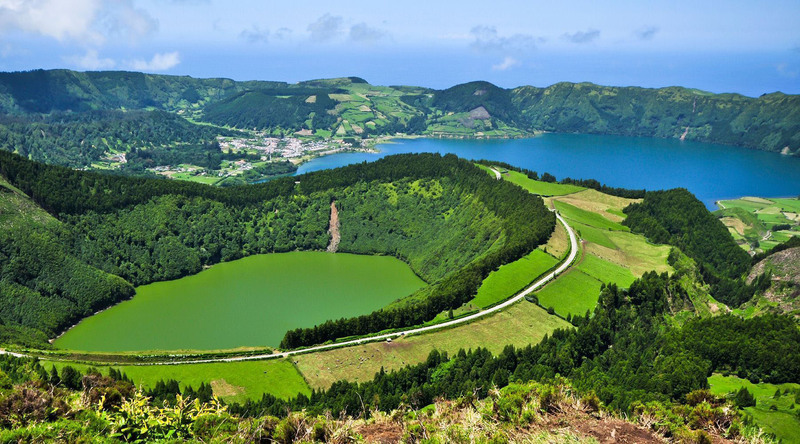 Ponta Delgada is home to a number of eco-attractions like Furnas with its natural hot springs, the nature reserve of Lagoa do Fogo—where volcanic landscapes and beautiful beaches vie for attention—and the crater lakes of Sete Cidades National Park. Explore the city center for shops, cafés, and the historical landmark Church of Sao Jose, go to the marina for big game fishing and speedboat racing, or explore the old Portuguese town of Riberia Grande. If you don’t make it to a pineapple plantation, be sure to try the “king of fruits” at a local market, as Ponta Delgada is renowned for its pineapple, as well as fresh seafood and local wines and liquers. Head to the twin-lakes, Lagoa das Sete Cidades, situated within the crater of a massive volcano. The Green Lake and the Blue Lake are named for how each lake reflects the sunlight in different colors. 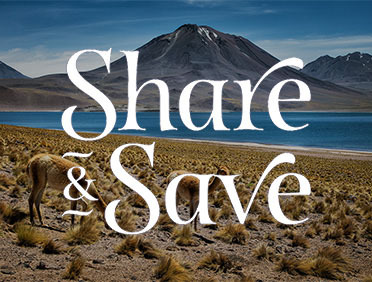 Though connected by a narrow passage, these two lakes are ecologically quite different. This unique geological phenomenon is the only one of its kind in the world. Deep underwater, volcanic vents release steam that heats up the water. When this heated water mixes with the natural seawater, the effect is like a thermal pool or hot spring, but in the ocean. Taste the freshest pineapple at the Pineapple Plantation, before ascending to the extinct volcano Sete Cidades and its town on the shores of the Blue Lake. View the unique Santiago Lake before a Azorean wine and cheese tasting. Embark on a sightseeing tour through the city of Ponta Delgada that includes its historic churches, favorite shopping street, and two fabulous botanical gardens. Experience the shimmering volcanic lakes, rich traditions and superb wines of the Azores on this excursion to the village of Sete Cidades. Travel to the charming Quinta da Jardinete Vineyard for an exclusive estate tour and tasting experience hosted by the winery's owner.